Luke already pointed out that Modern Warfare 2 is an entertainment industry record setter, so today's Activision confirmation isn't too surprising. But the Xbox Live numbers included along with that confirmation sure are. 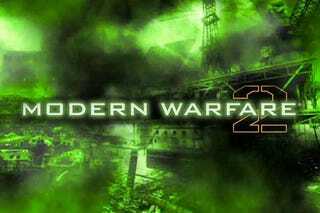 More than 2.2 million gamers logged more than 5.2 million multiplayer hours playing Call of Duty: Modern Warfare 2 on the first day alone, a new one-day Xbox Live record. Those gamers managed to unlock more than 11 million achievements in that day as well. If you missed Luke's excellent article comparing Modern Warfare 2 to other entertainment properties, you should go have a read. Today Activision says that their game pulled in an estimated $550 million in its first five days.